In original key of C major. 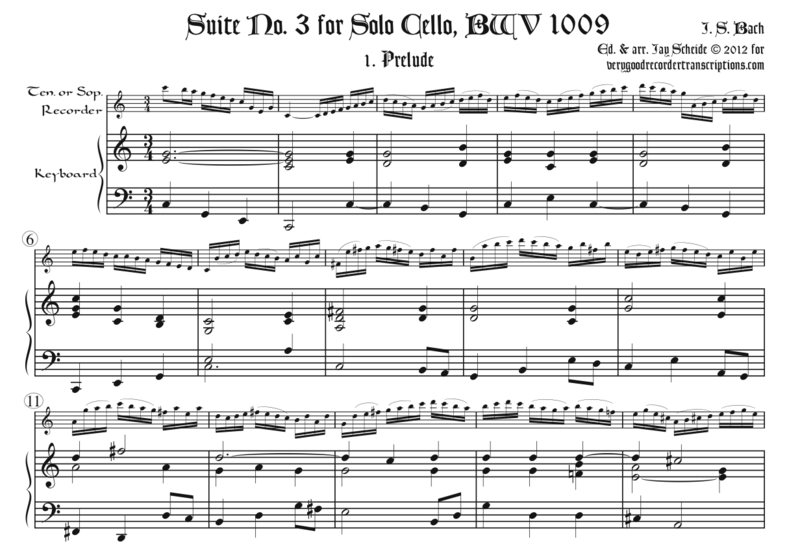 The first three movements are for C instrument, and the last three call for alto. The keyboard parts have newly composed bass lines. Slurs are added, but due to the lack of clarity in the earliest and most important source, they should not be taken overly seriously. Note that we also offer the Suite transposed to F major. Recorder & Keyboard part, 21 pp.